Doepfer's A-137-2 'Wave Multiplier II' does more than just super-saw. This module uses a set of comparators to generate four 'fake' phase-shifted versions of the input material. 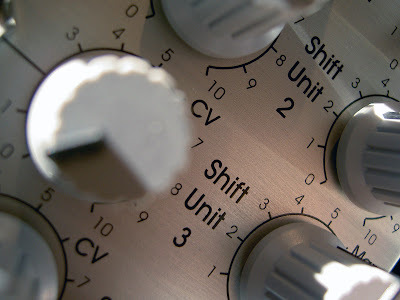 The offset of each saw can be modulated, generating a large sound from a single oscillator. As the module is DC-coupled, it can also be used to process CVs. When I first got the A-137-2, I considered building an expander to gain access to its pulse outputs and avoid having to unscrew the module from the system to remove stages from its output. Two discoveries I've made this week happily mean this isn't necessary. The first relates to the manual shift knobs: when set at zero, a stage is effectively removed from the output. This is great news if, for example, you only want one additional animated saw. It also has implications when using the A-137-2 as a comparator-based timing delay. I'm not sure if this is a bug or a feature - a comparator needs two signals - but, as you can hear from today's Patch of the Day, it offers an additional palette of sounds. To use the A-137-2 as a shonky beat machine à la A-143-1, feed it a ramp LFO. 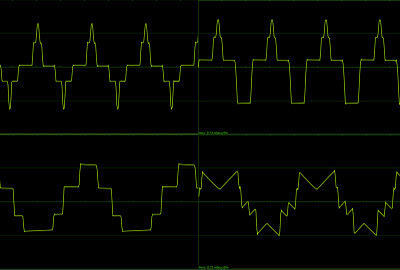 I've found using a positive-only CV from Maths works best as the comparators switch on both the rising (on) and falling edges (off) of a wave. Patch its output to an A-162 or similar to get clean pulses. The A-137-2 is another Doepfer gem, offering several uses for not much money. If you want to learn more about the workings of this module, read the ETI article on the Digisound Waveform Multiplier or, if your French is up to it, the Elektor article linked at the bottom of the Doepfer product page. Damn, that is absolutely massive! Is a filter being used in this patch, or simply reducing the CV depths (or both)? Ha ha! It is, isn't it? I realized after posting, that I hadn't mentioned the patch details to the PotD! Yes, I used a filter. It would have been unlistenable without! The trick here was to send four VCOs to the four CV inputs (nothing in the main input). 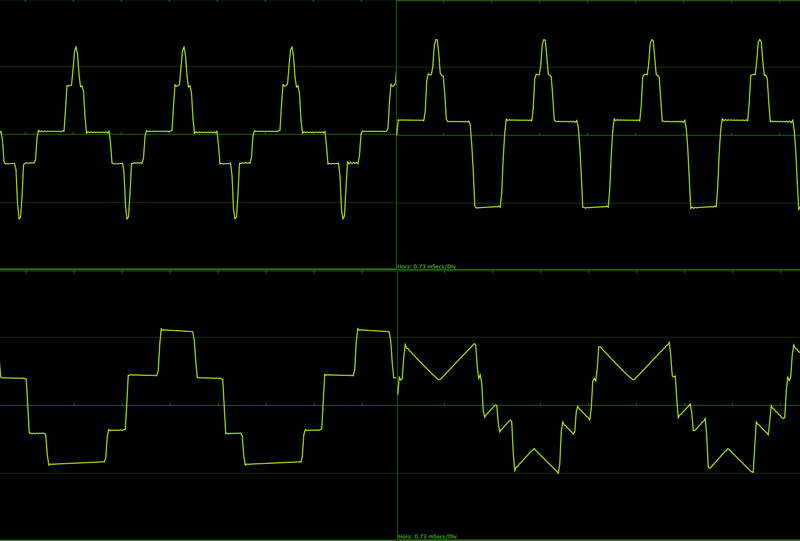 Each VCO and manual offset was 'tuned' to generate a harmonic, sort of square-wave additive synthesis. All four oscs received the same pitch CV, but I also messed with their relative tuning during the patch. One other point: the A-137-2 doesn't react to a dynamic input signal in the same way that a 'normal' wave-folder does. With the Toppo TWF etc., louder signals are folded more, that's why you can vary the tone by sending your audio to a VCA first. With the A-137-2, varying the amplitude effectively shifts the reference point for the comparators, so the 'phase', or relative pulse width, will be affected. And one last thing, before I forget: I asked Dieter Doepfer about the 'no input' patch and my assumption that a comparator needs *two* signals to work. Well, mathematically, in this case, no input means 0V becomes the reference. You've got to be a scientist to see that ;) Thanks, Dieter!